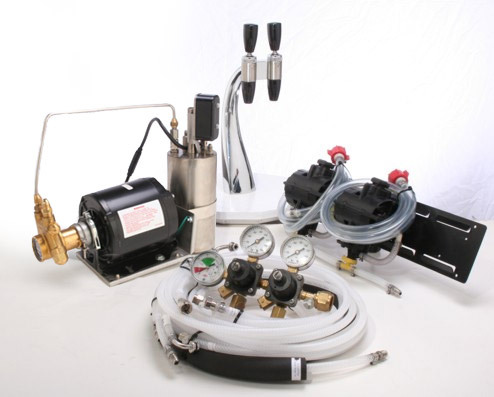 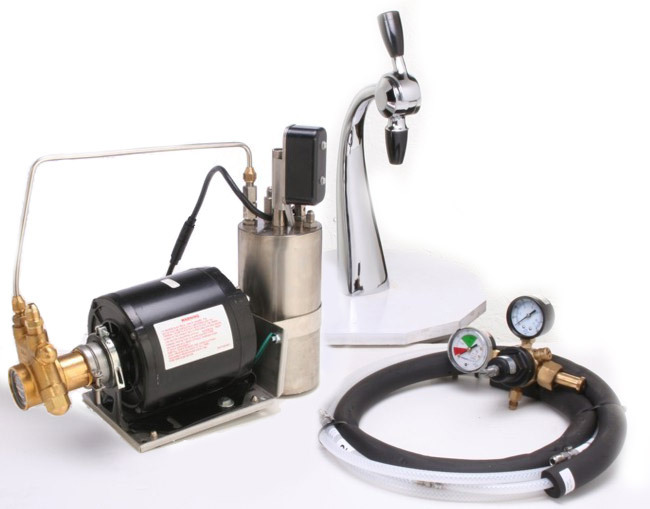 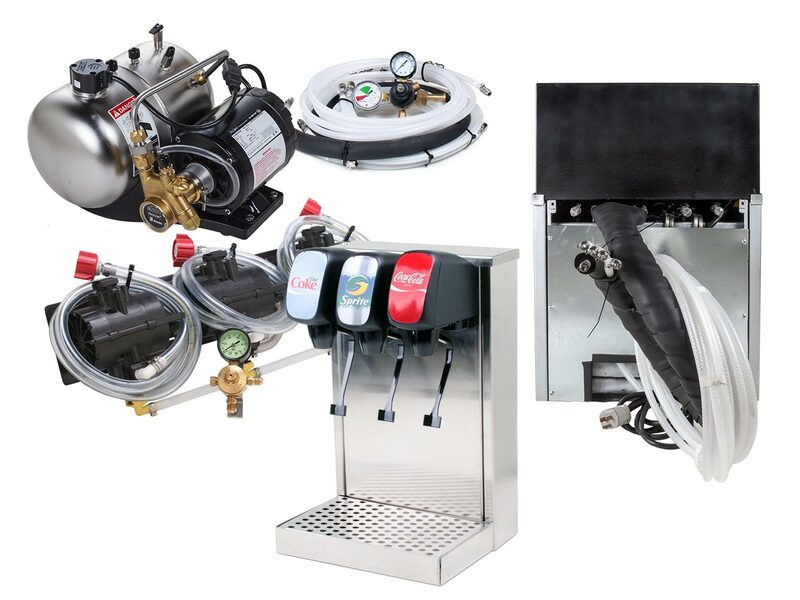 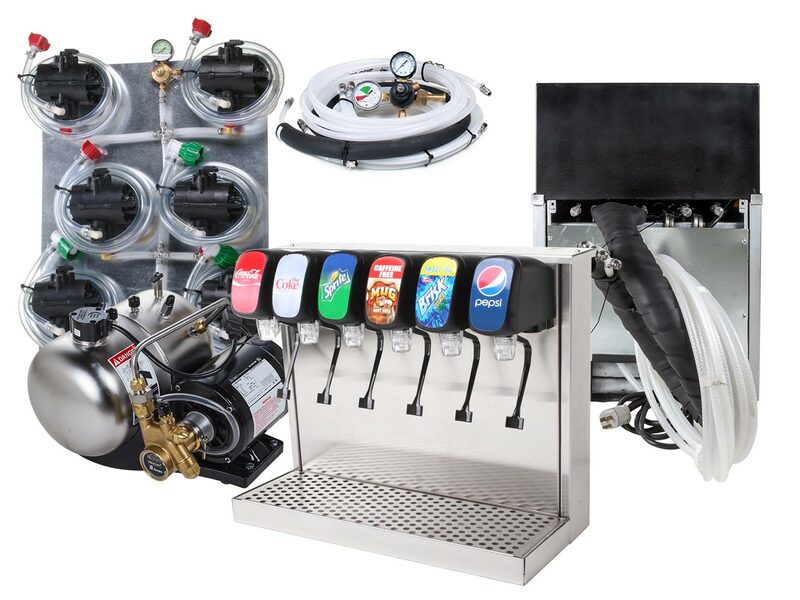 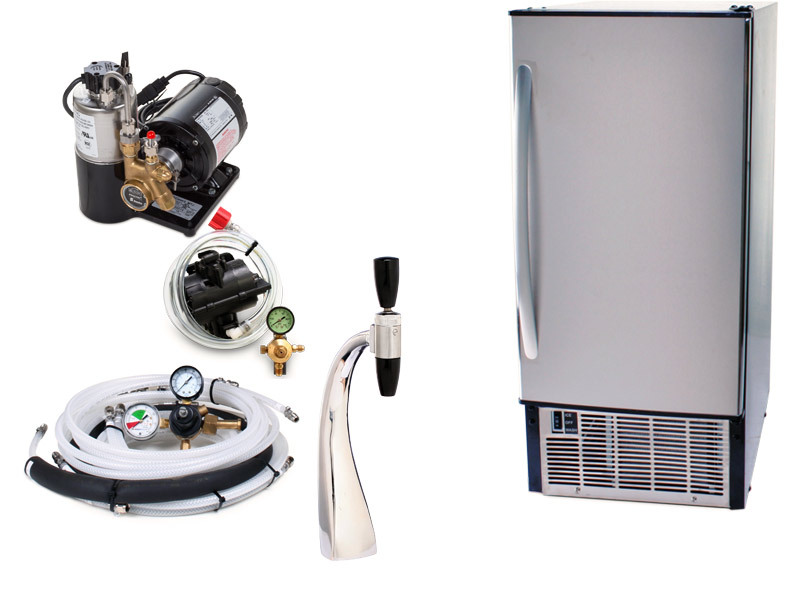 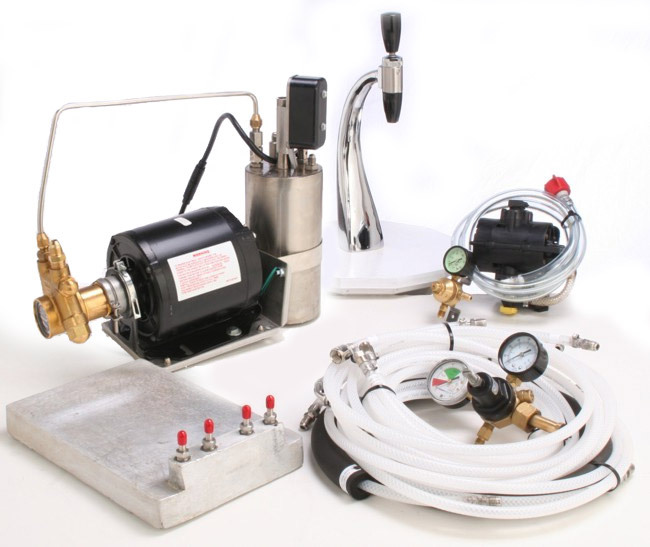 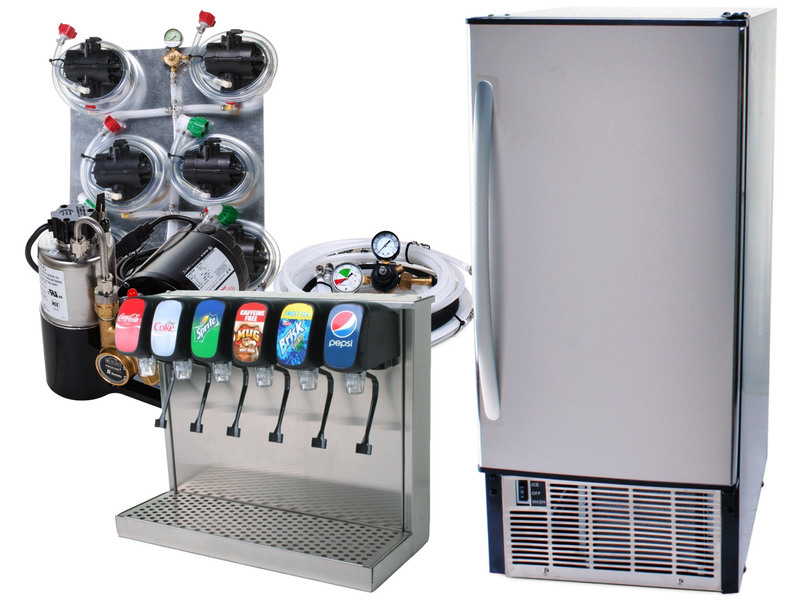 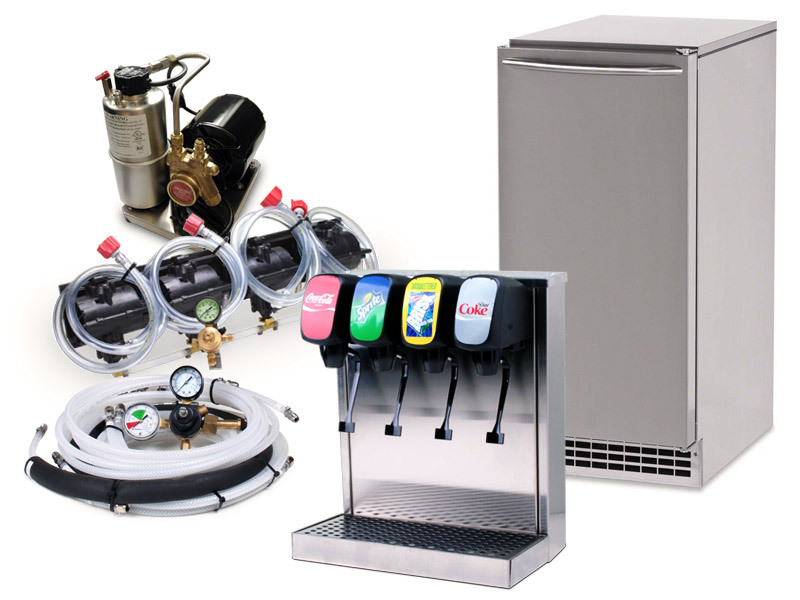 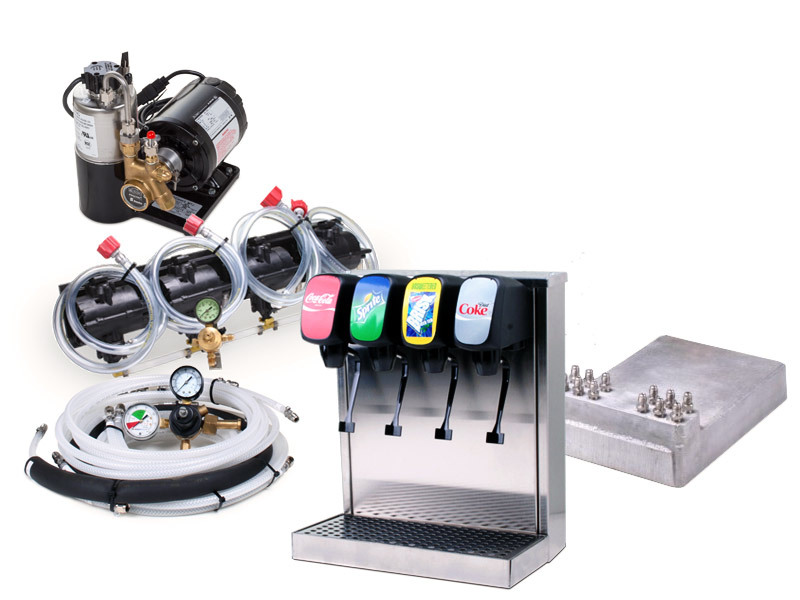 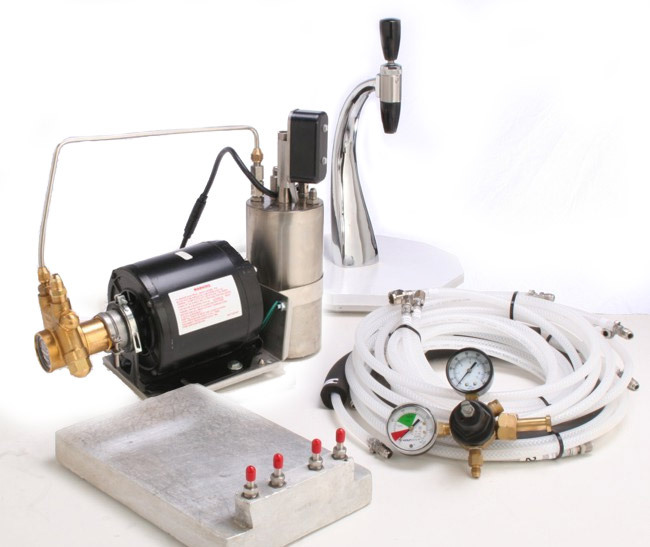 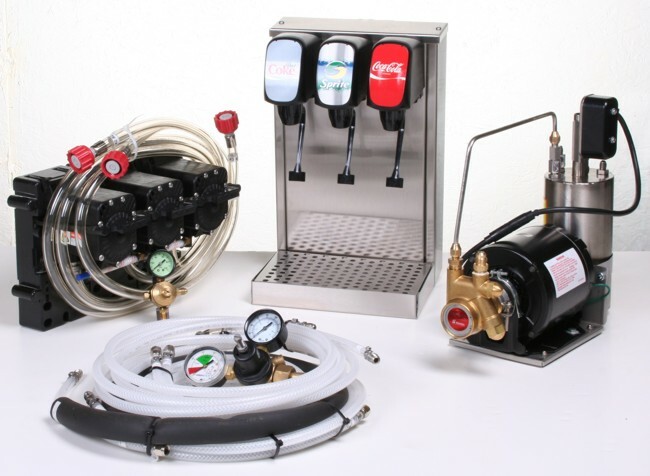 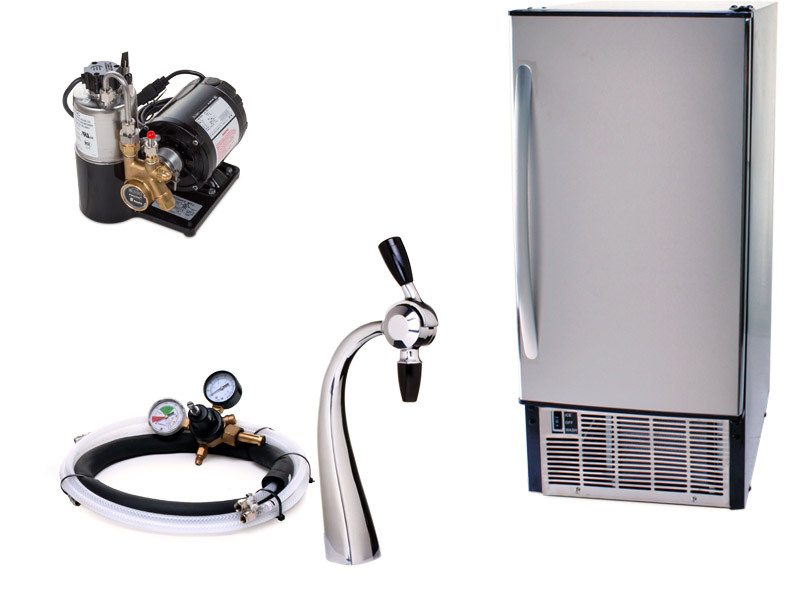 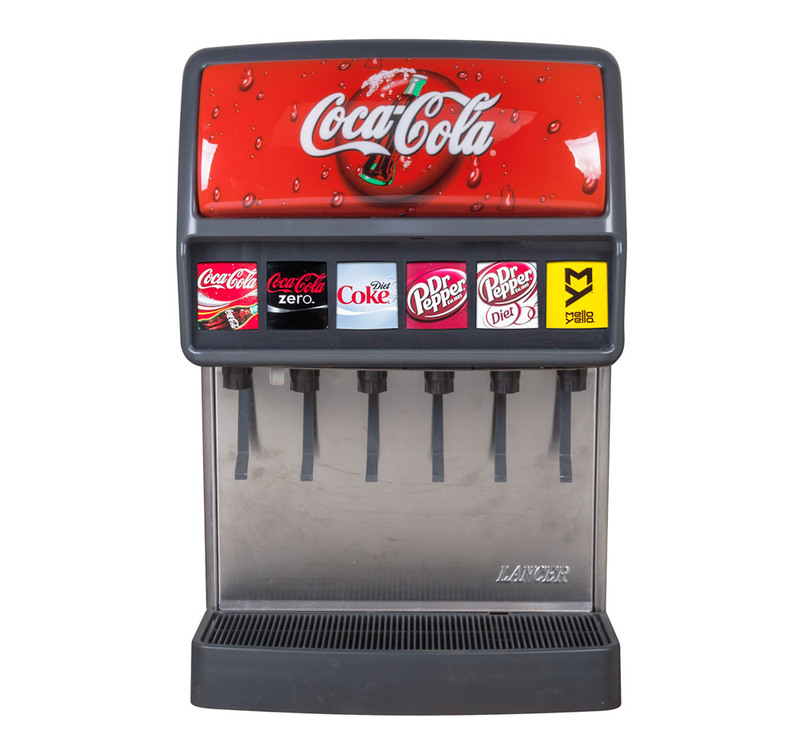 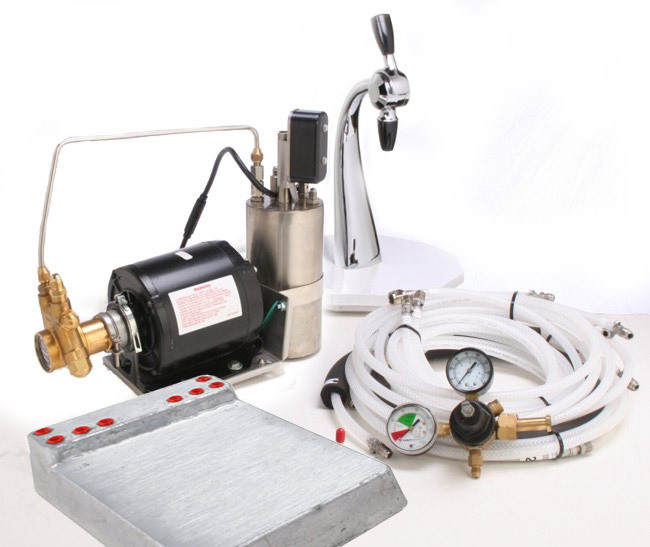 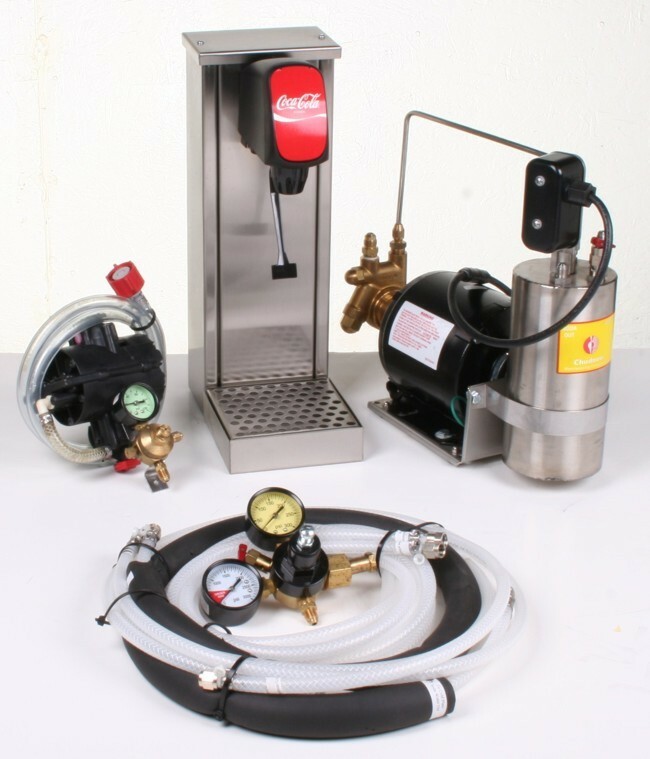 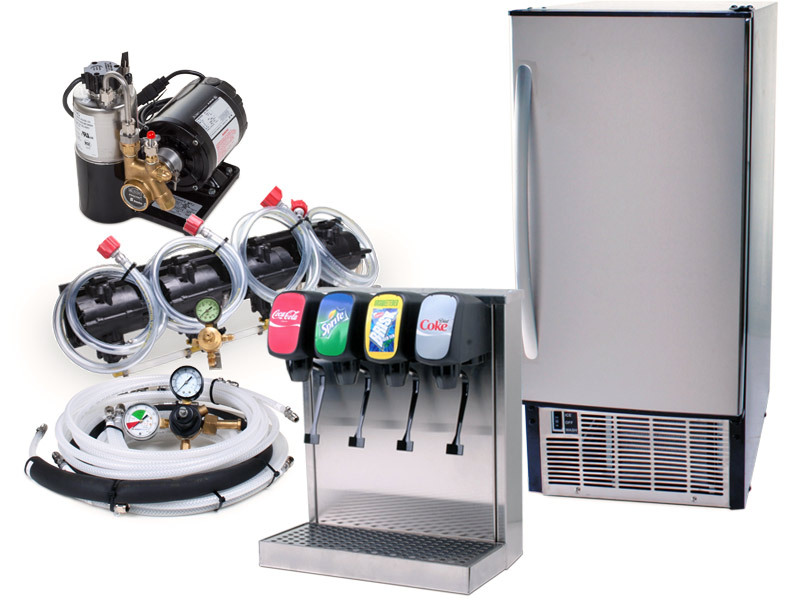 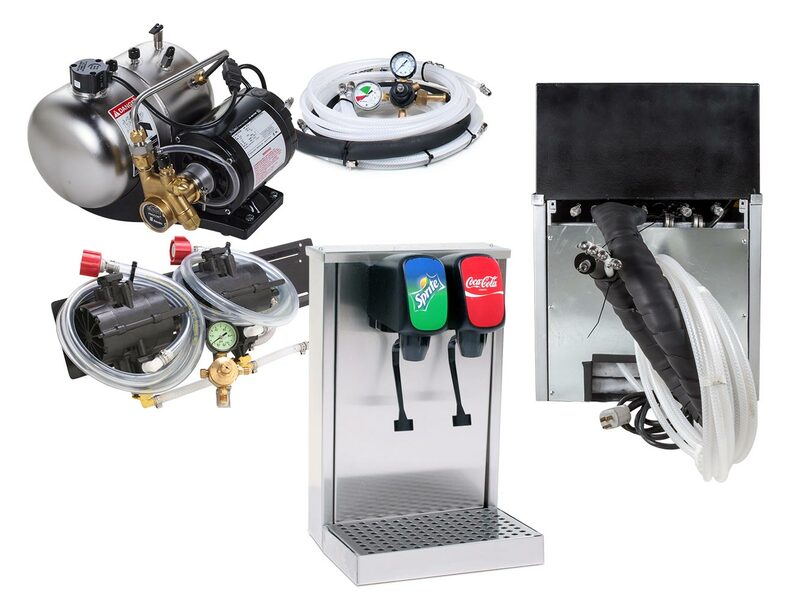 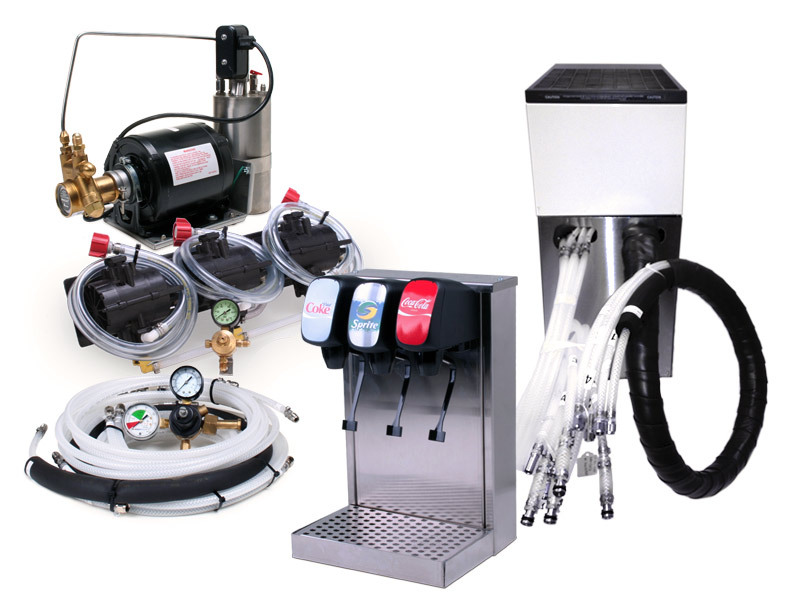 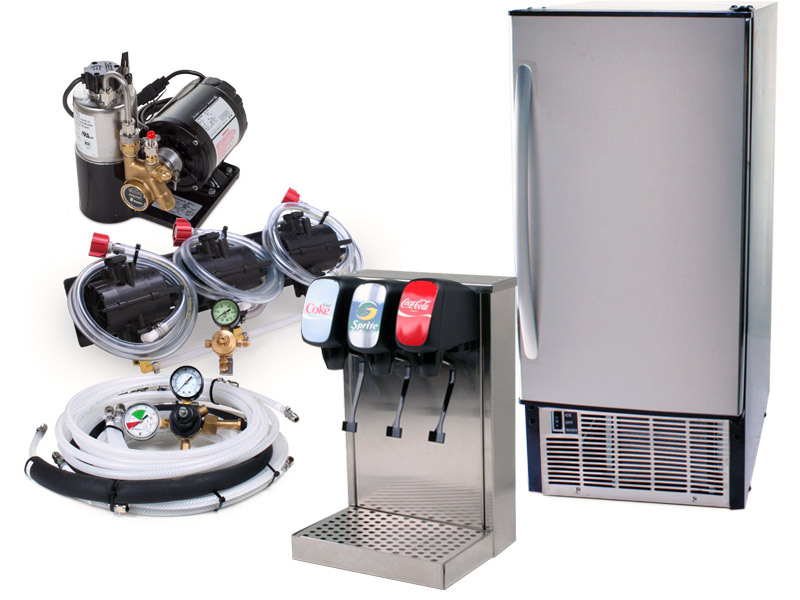 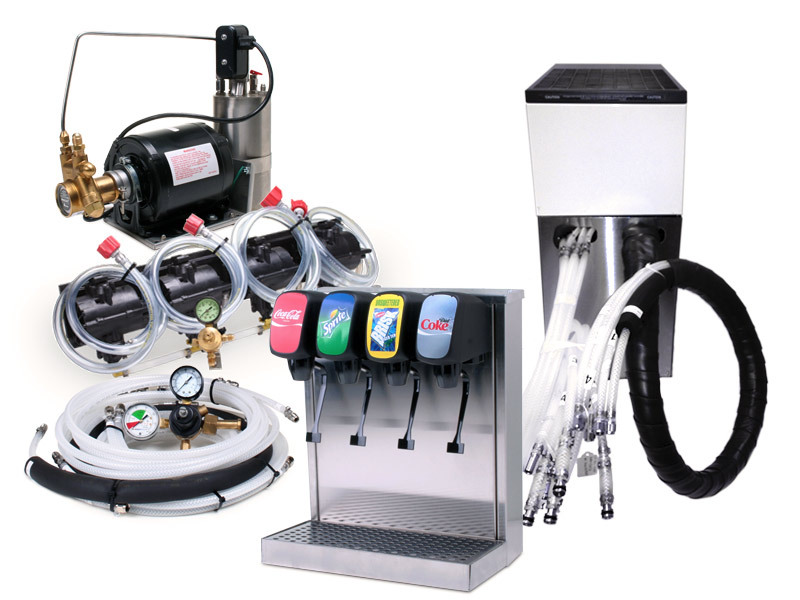 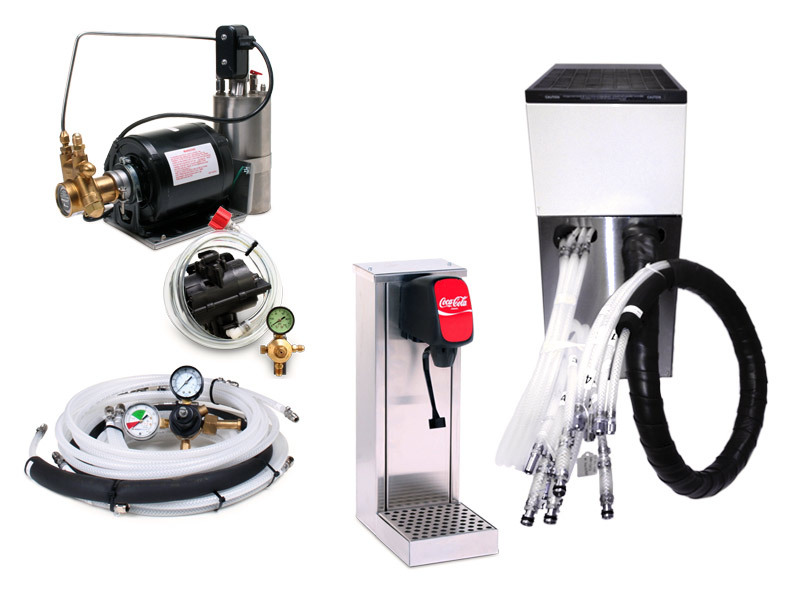 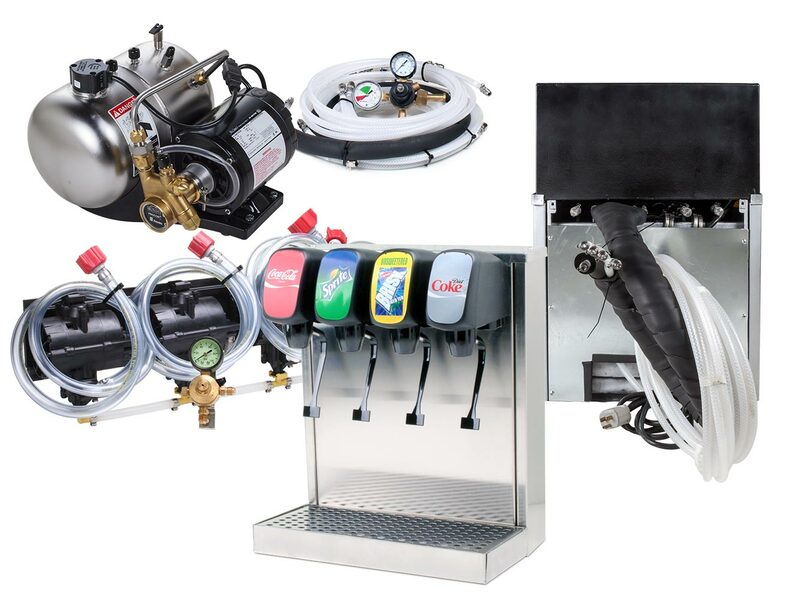 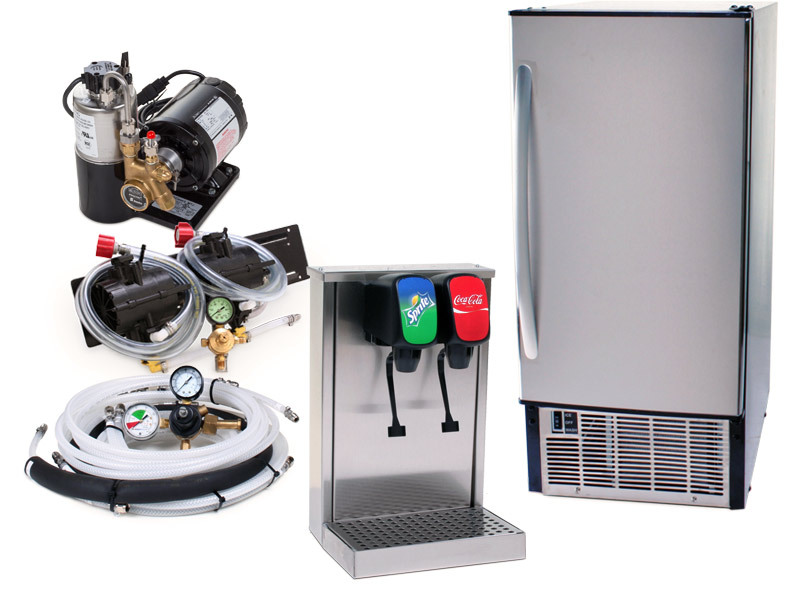 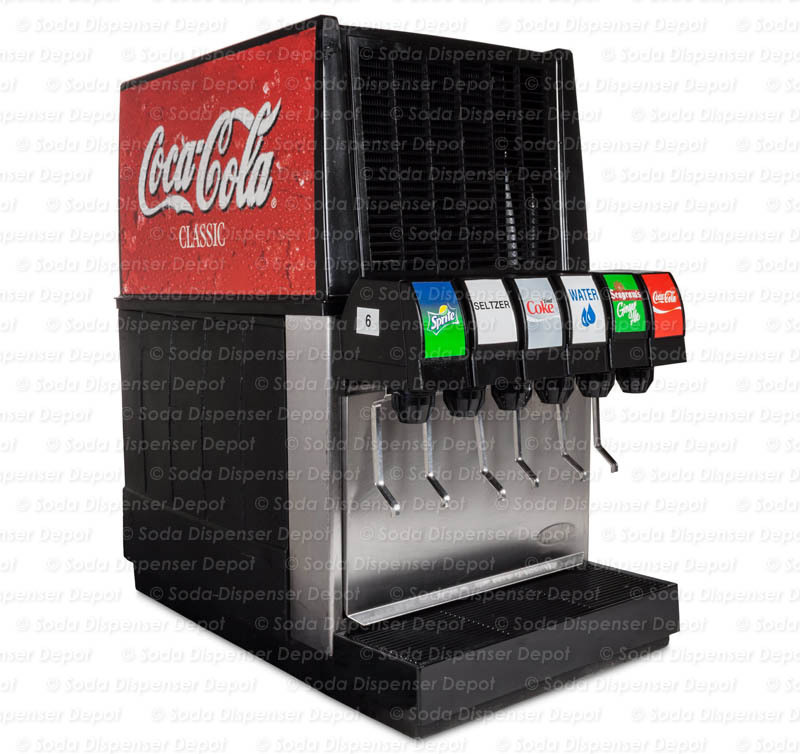 ALL of the soda fountain systems on this page are ideal for home use. 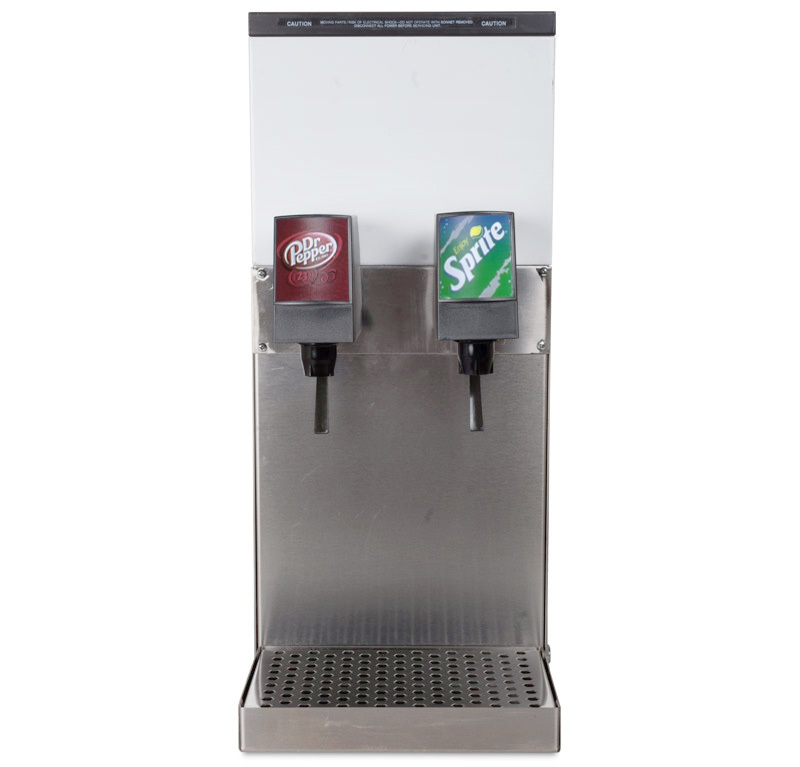 They feature smaller dispensers that work well in residential and small office settings, but use the same quality components as commercial systems. 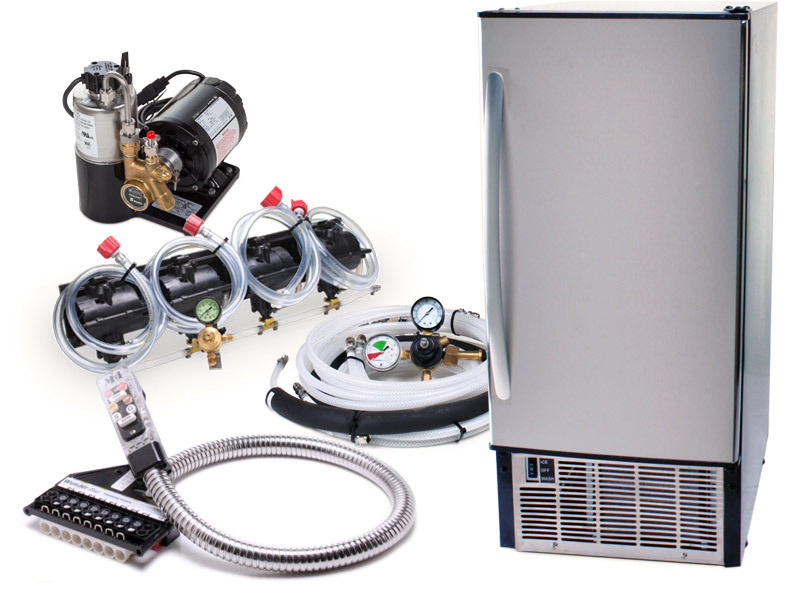 The following systems are REMANUFACTURED. 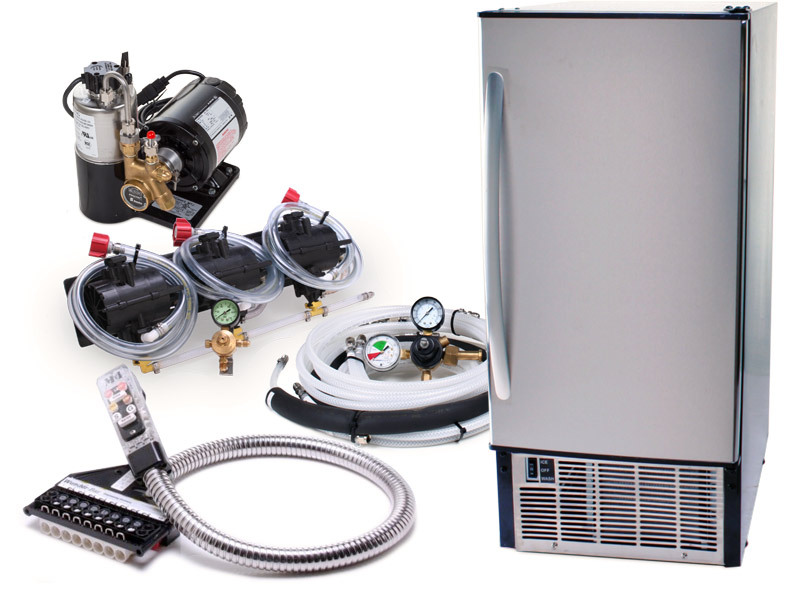 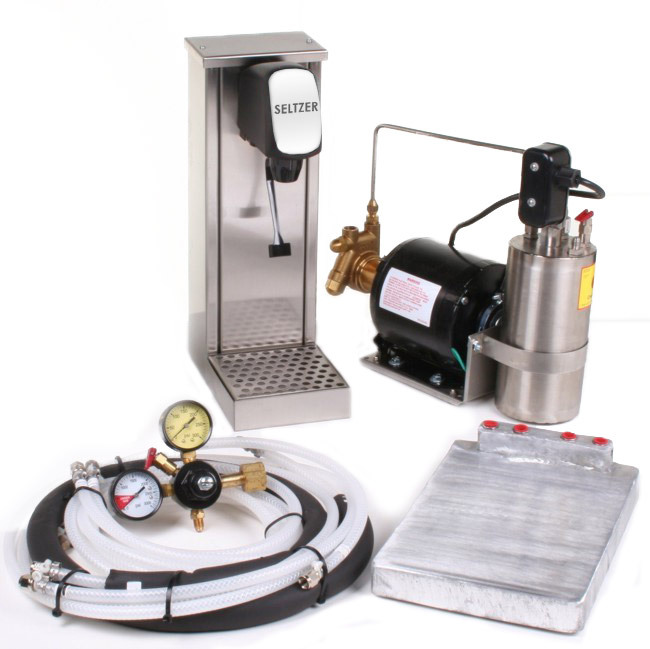 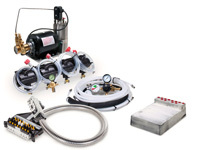 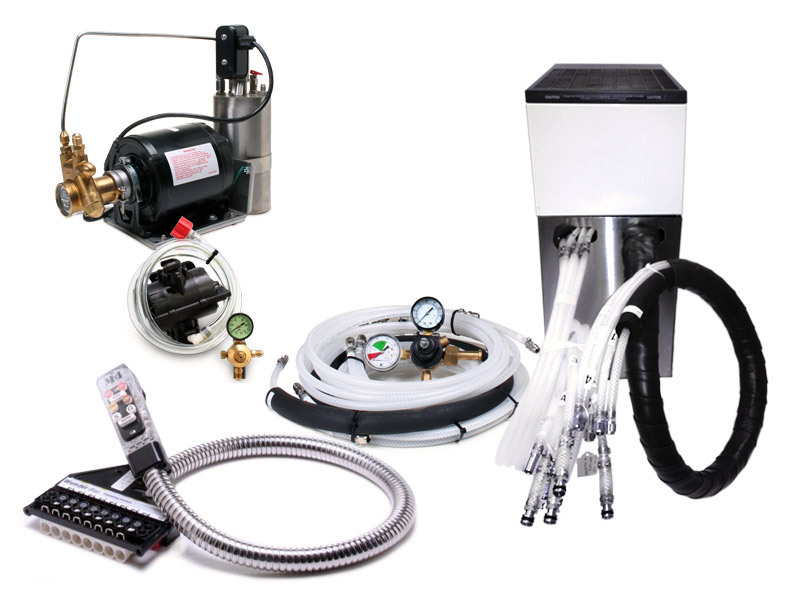 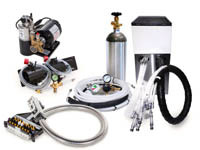 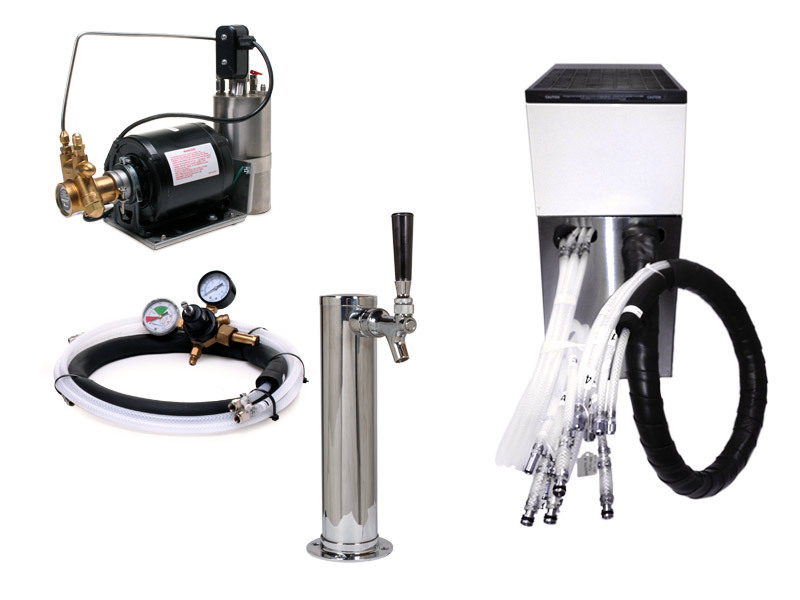 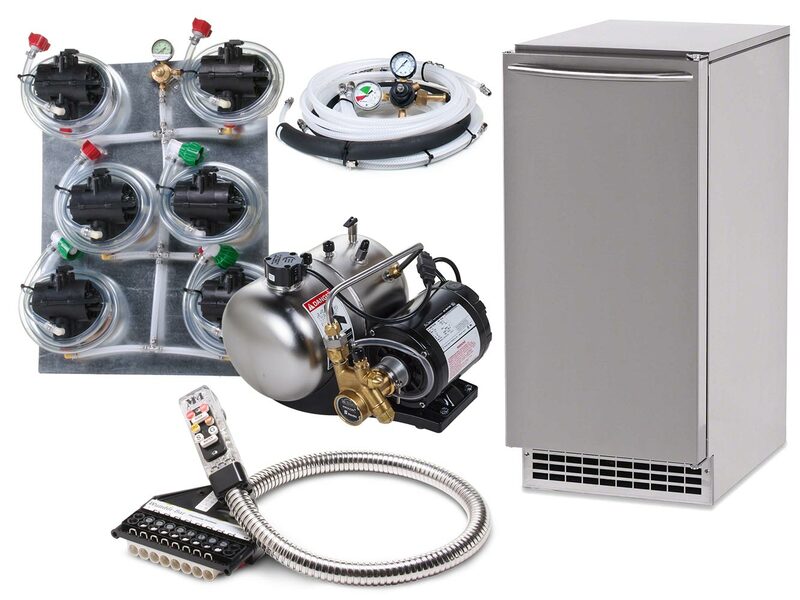 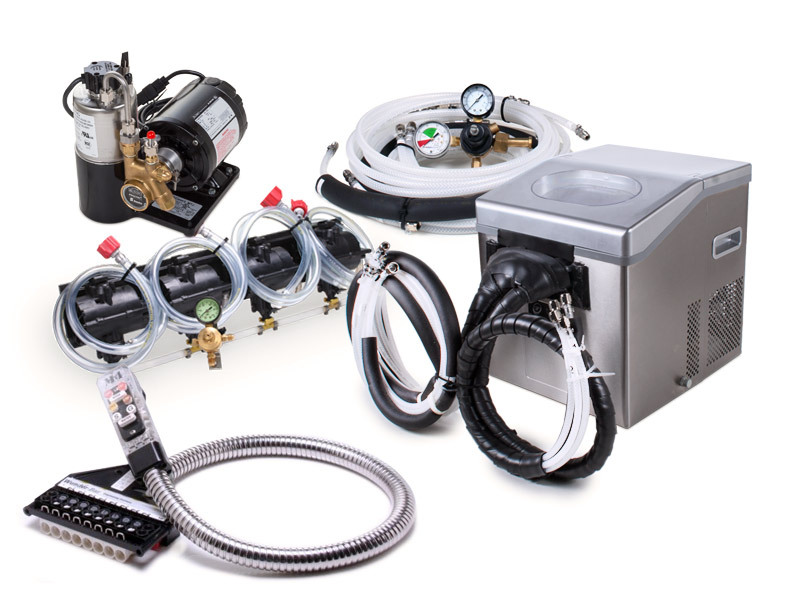 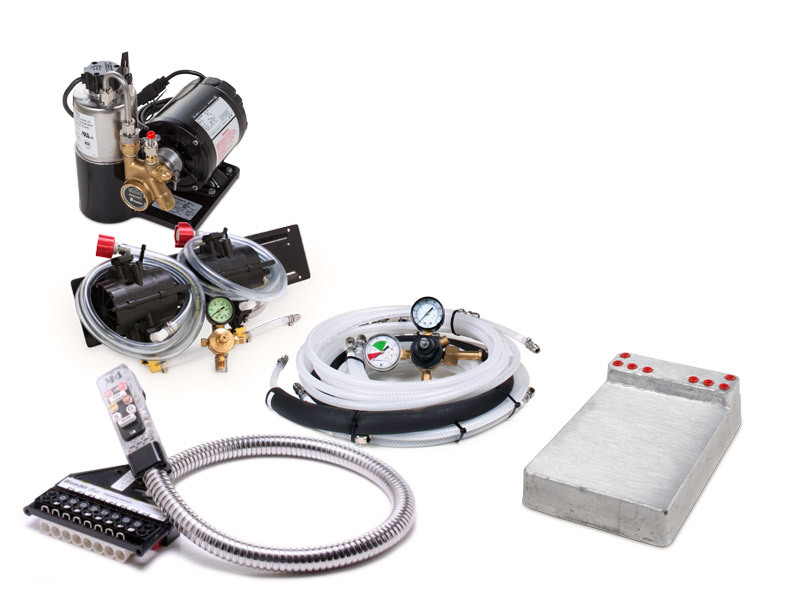 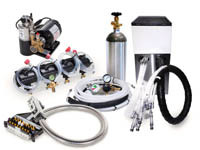 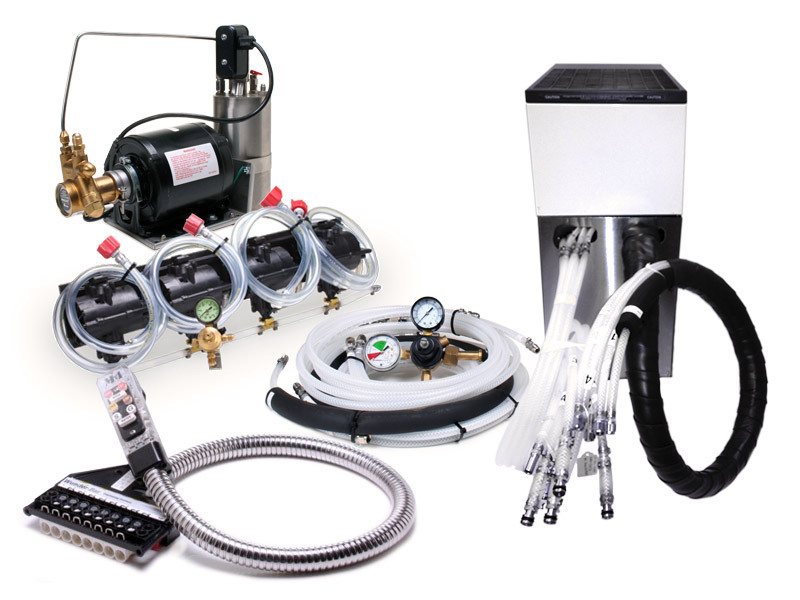 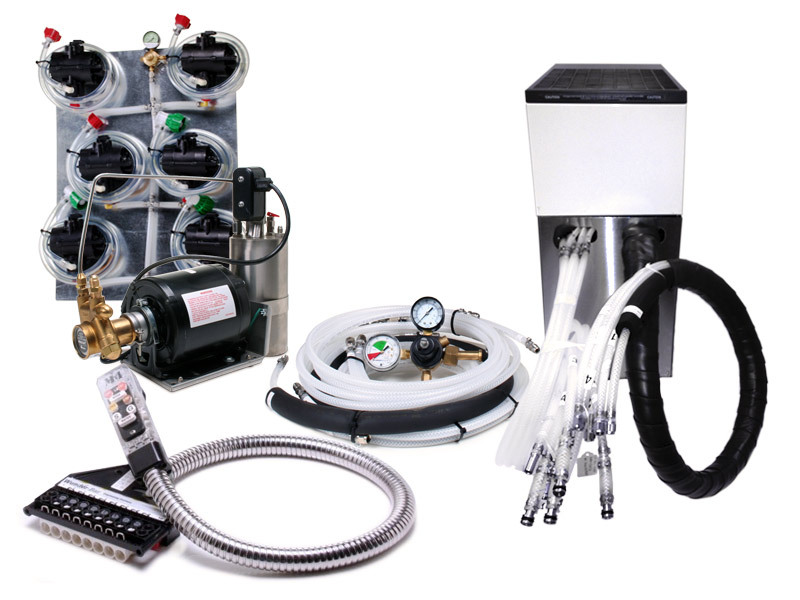 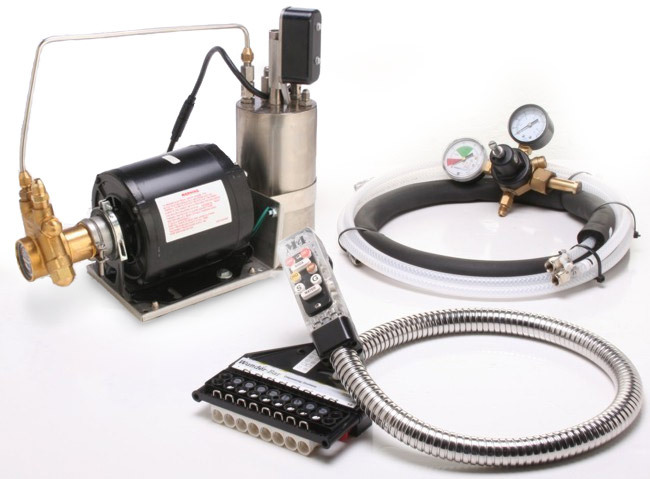 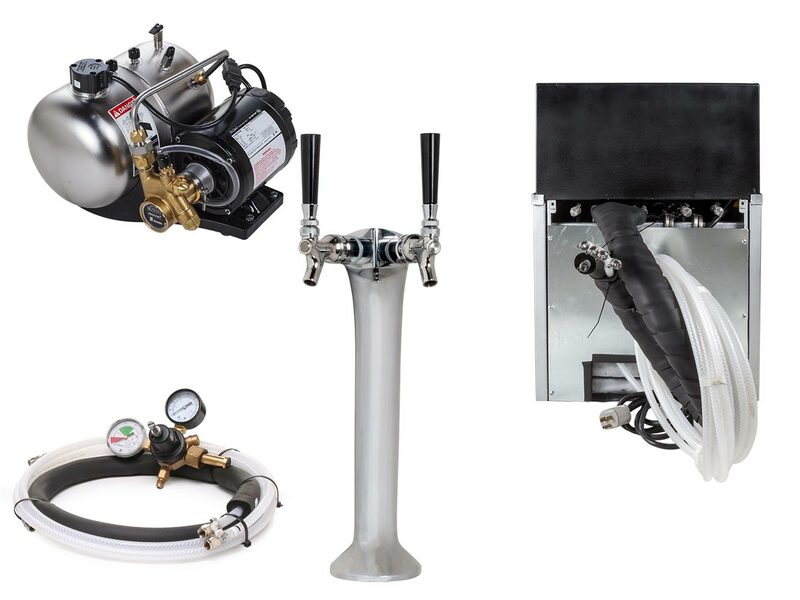 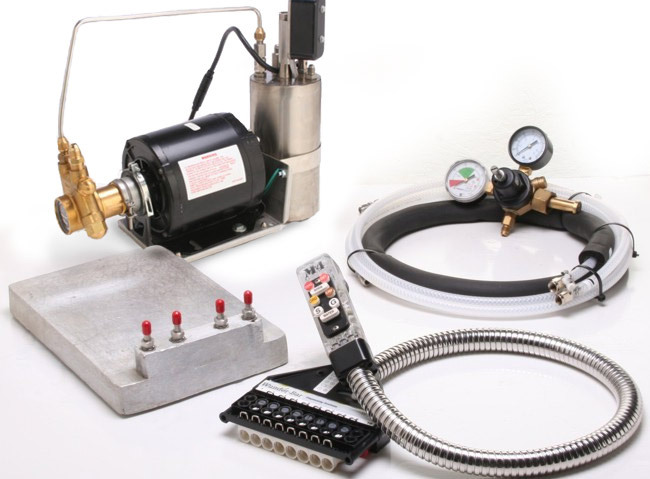 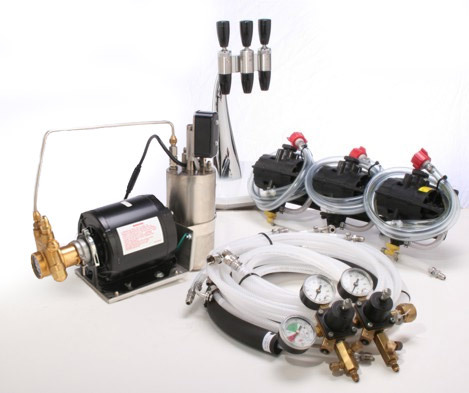 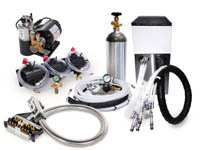 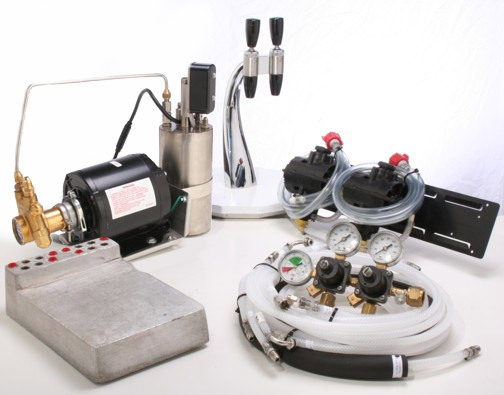 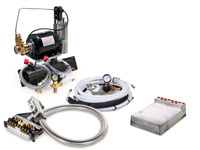 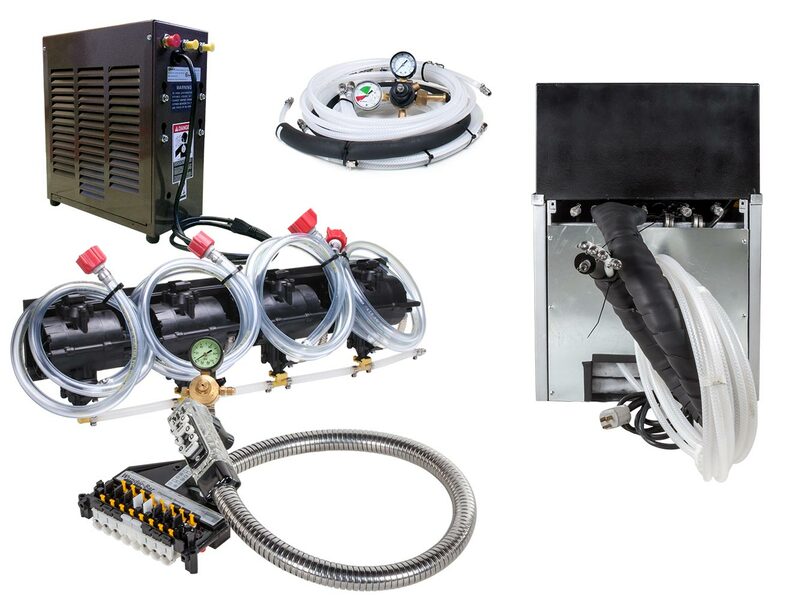 They're pressure tested and sanitized and come with a 60-day warranty, pre-assembly, and an Installation Guide (PDF), which includes a link to a start-up procedures video for your style of system. 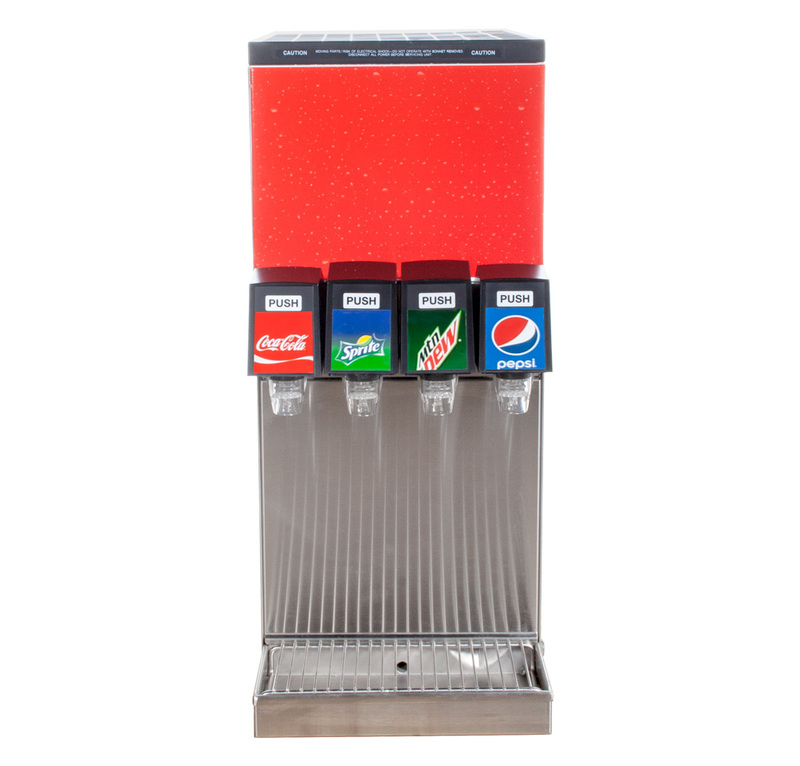 4-Flavor Tower Soda Fountain System with NEW Under Counter Pellet Ice Maker - "Sonic style" ice! 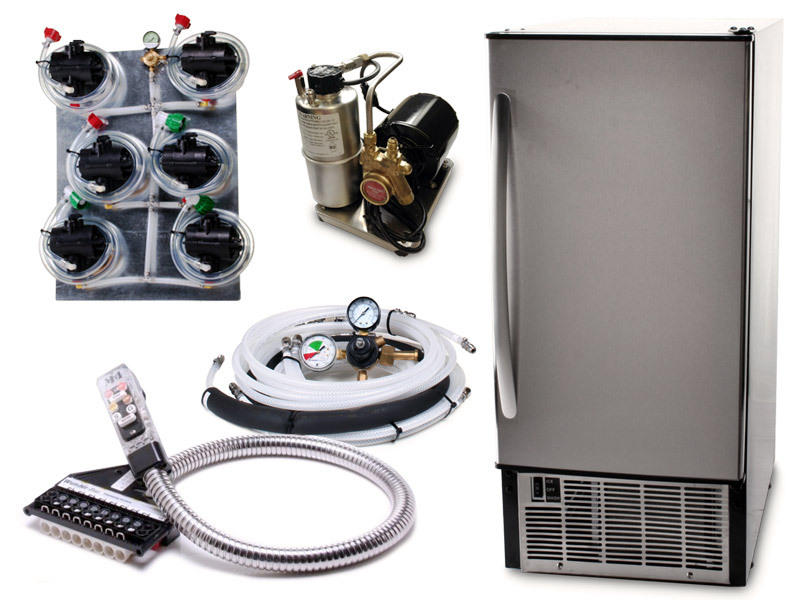 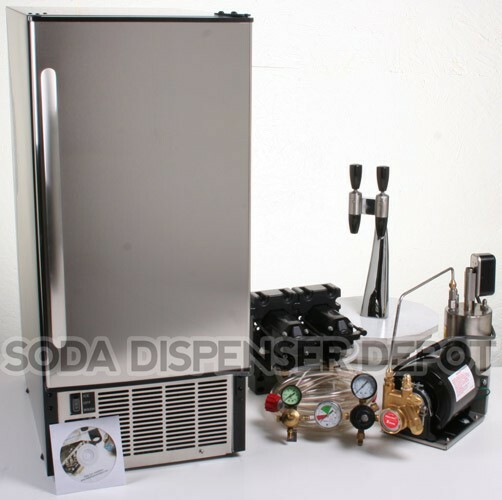 6-Flavor Soda Gun System with NEW Under Counter Pellet Ice Maker - "Sonic style" ice! 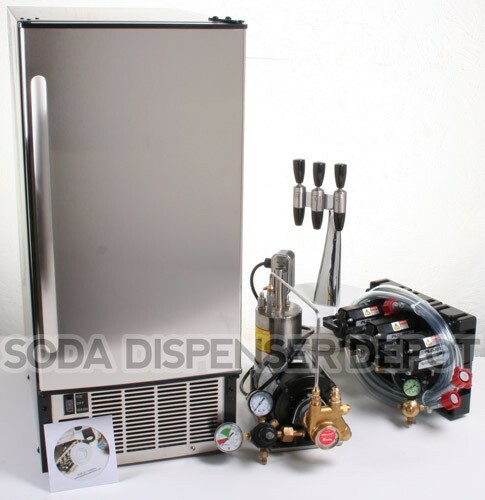 3-Flavor Draft Arm System with NEW Under Counter Ice Maker RARE! 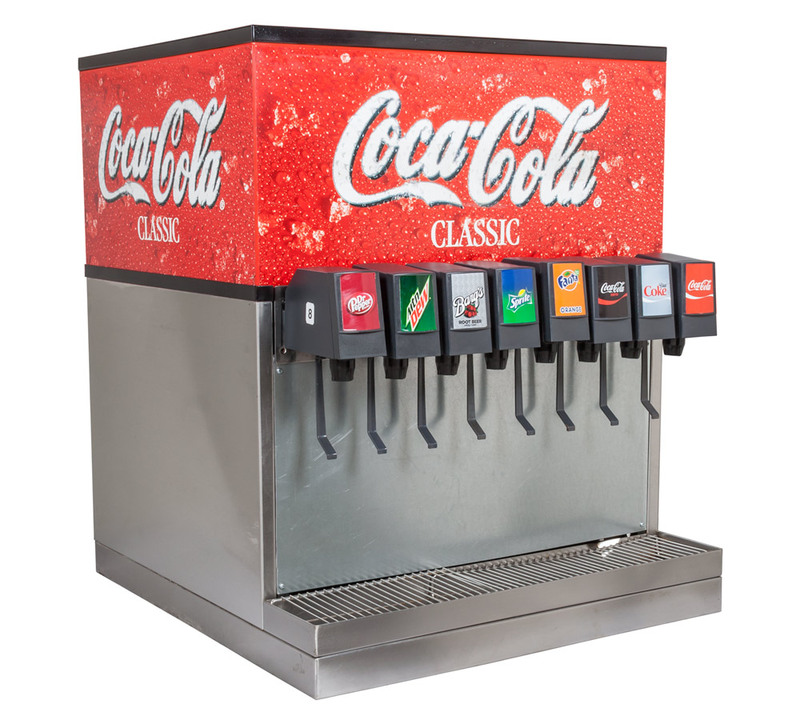 The following systems are NEW. 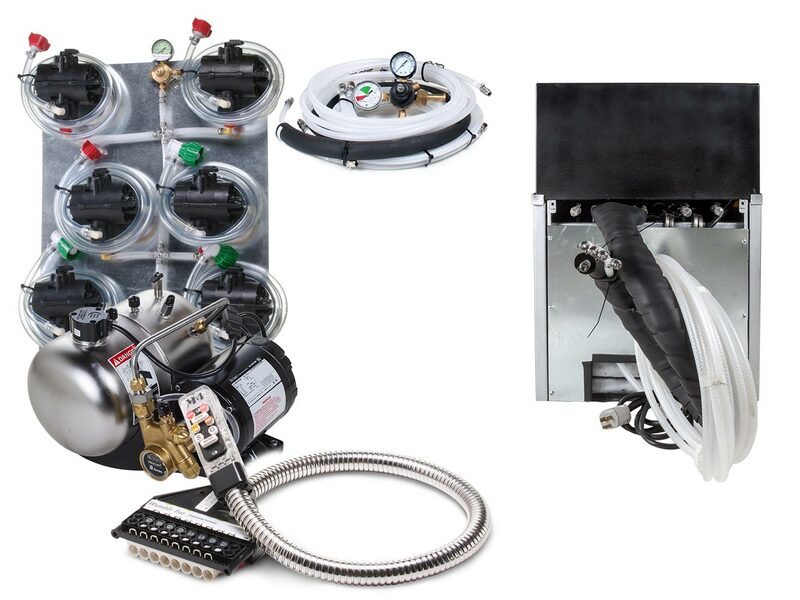 They include a 1-year warranty, pre-assembly, and an Installation Guide (PDF), which includes a link to a start-up procedures video for your style of system. 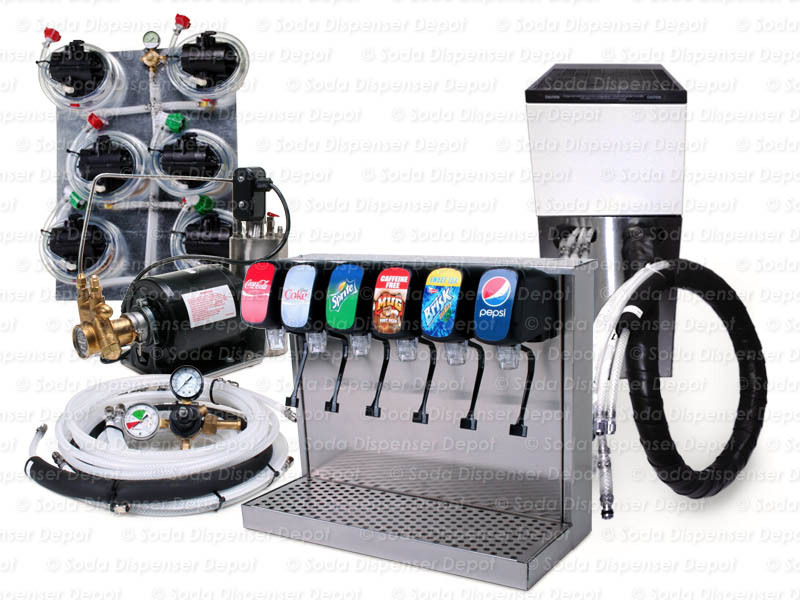 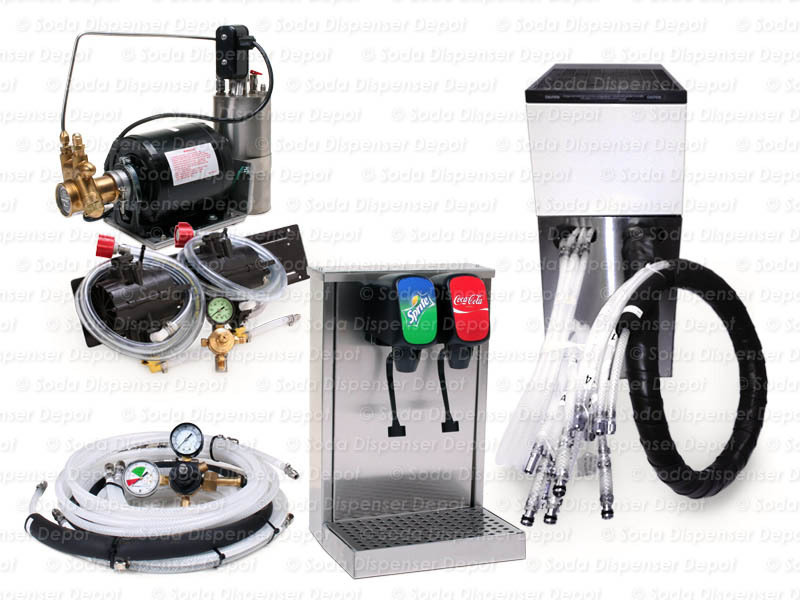 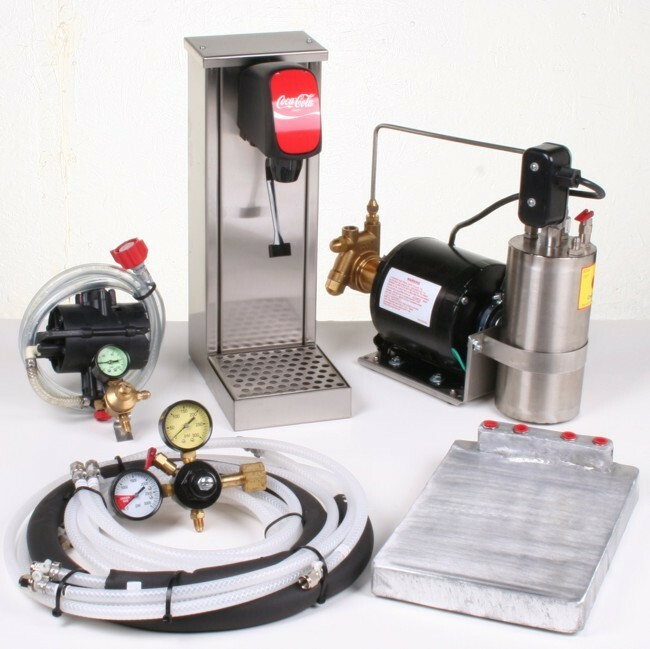 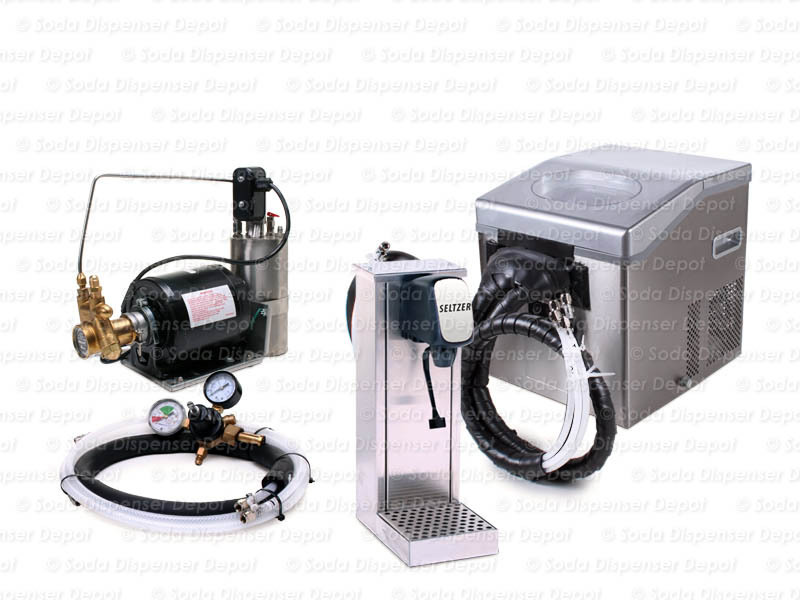 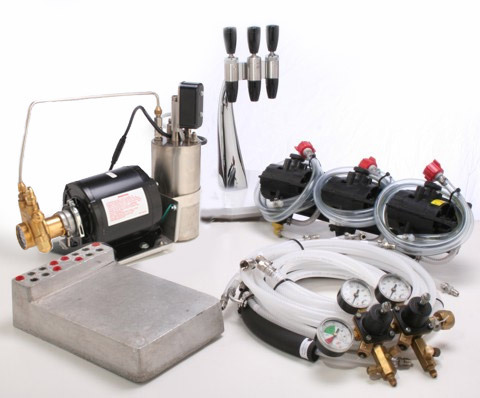 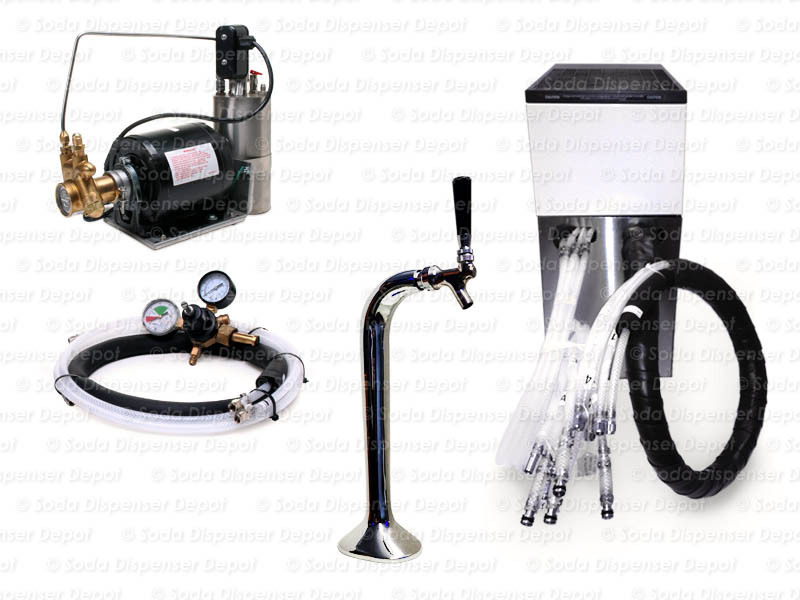 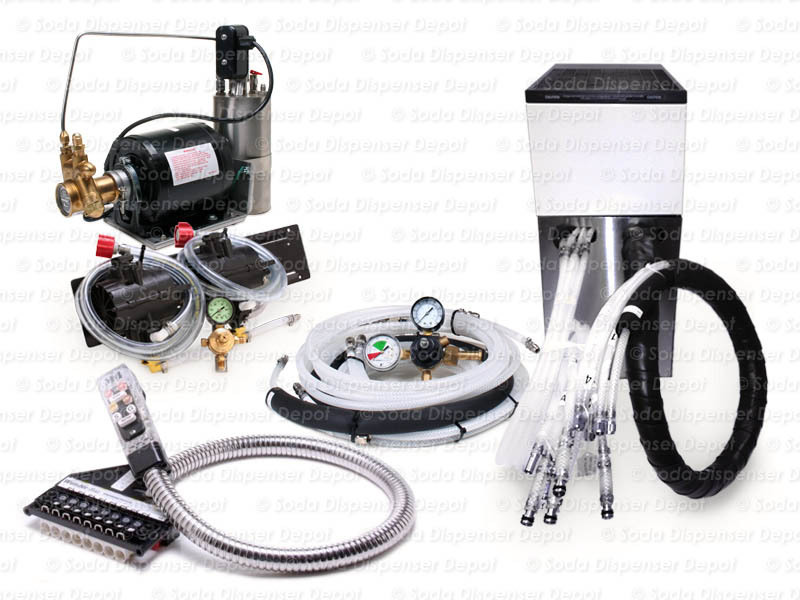 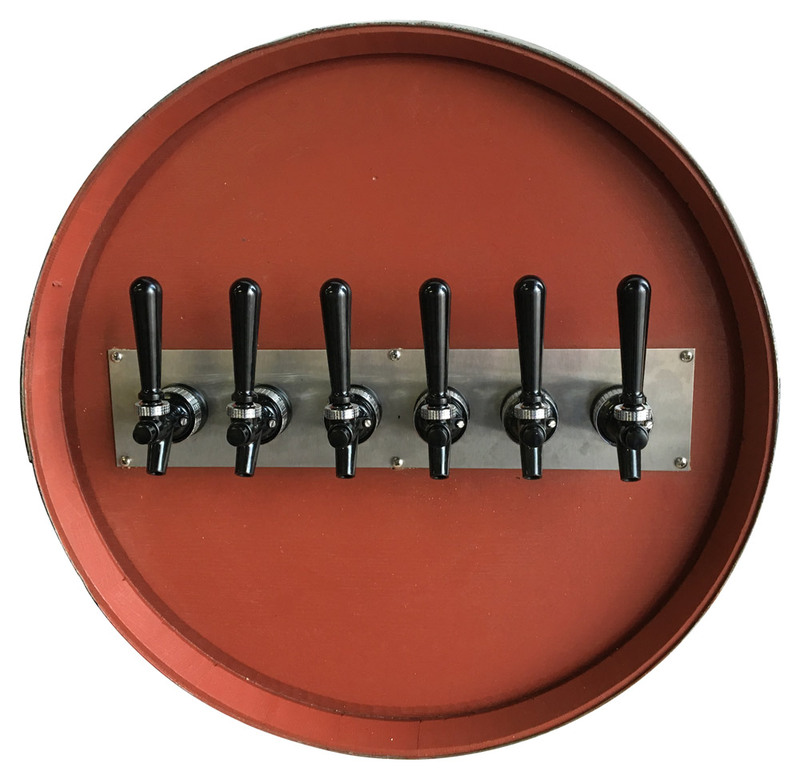 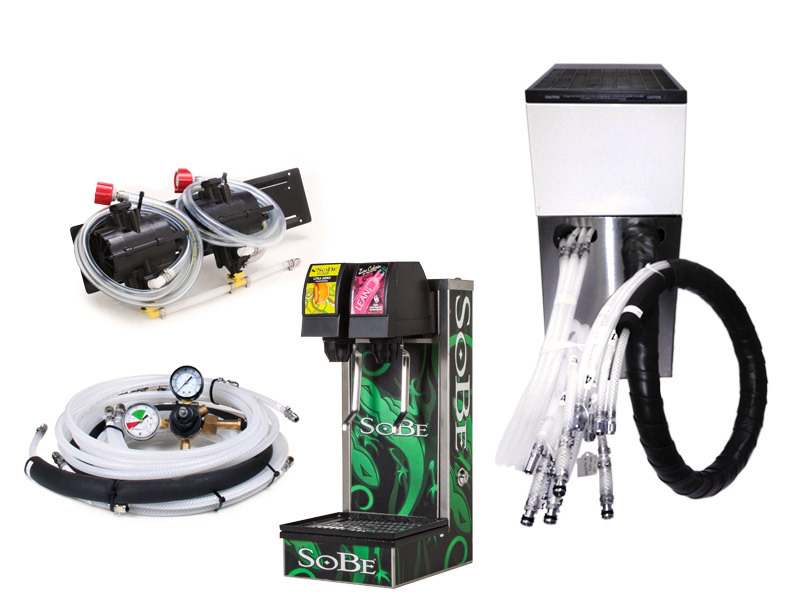 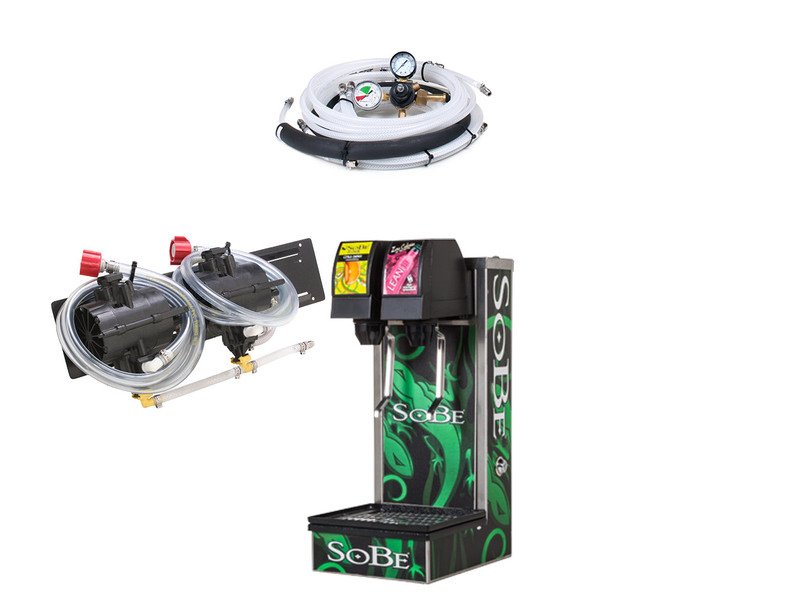 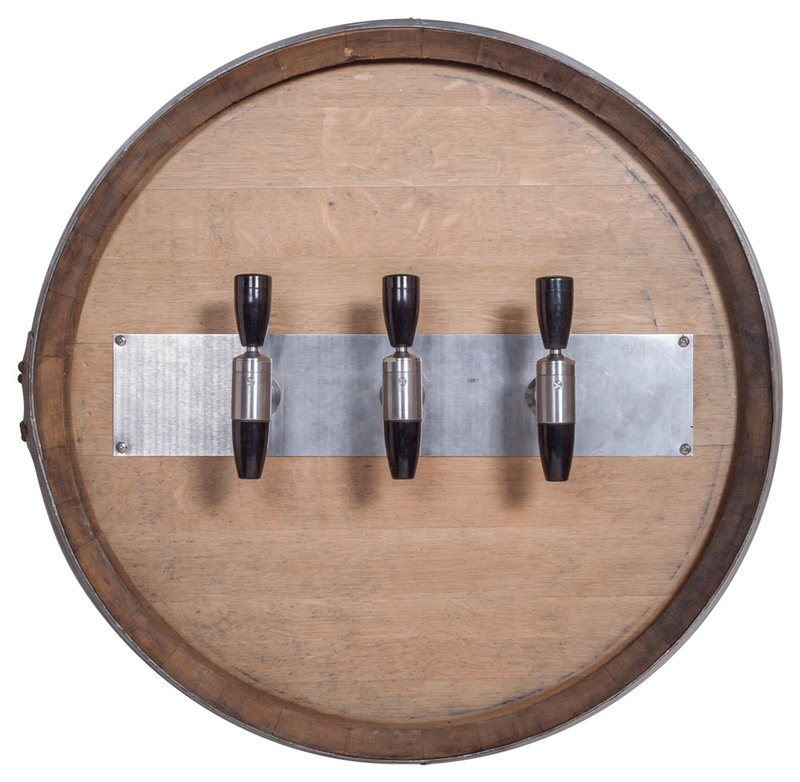 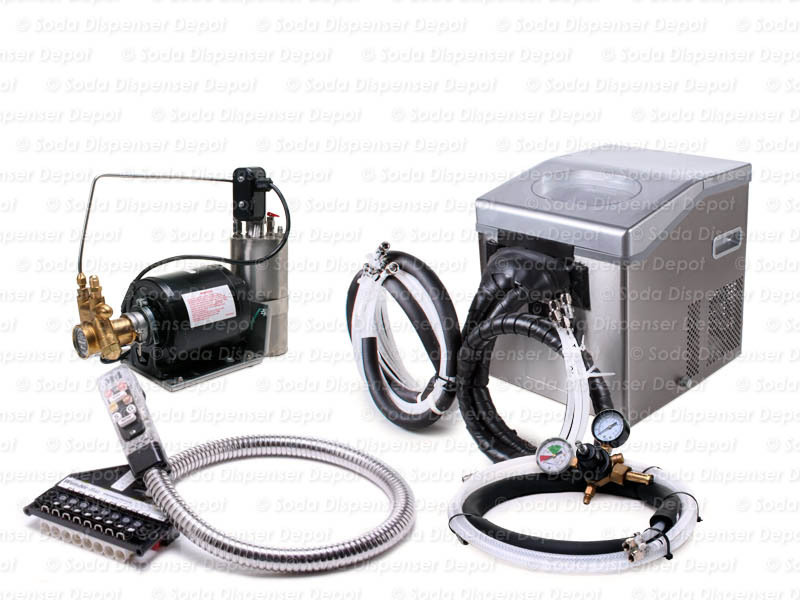 For Even More New Home Soda Fountain Systems, check out SodaParts.com!